Pamalican is a private island, set among the North Cuyo Islands, 360km south-west of Manila. Lying along the trading routes from Southern China to Borneo, the Sulu archipelago and the Spice Islands, the Cuyo Islands have been known to sailors and traders since pre-Spanish days. Literally in the middle of nowhere, the people of these 40 islands live mostly by fishing and seaweed cultivation. The jewel of these islands is Pamalican Island. 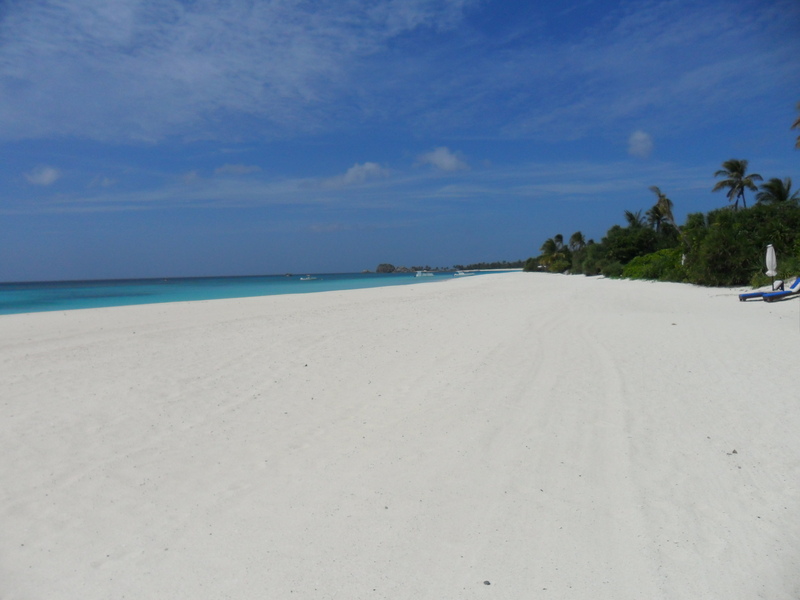 An island of of just over 60 hectares, it is surrounded by pristine white beaches and coral reefs. Beyond are sandbanks and a channel where whales, dolphins and sea cows have been glimpsed. 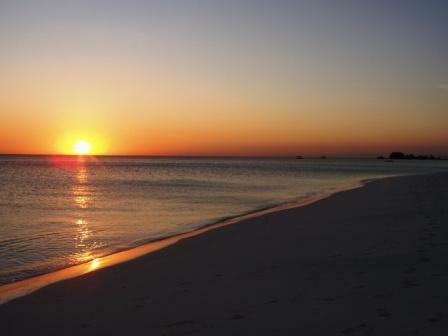 On one end of the island, baby sharks would swim in knee deep water at sunset. 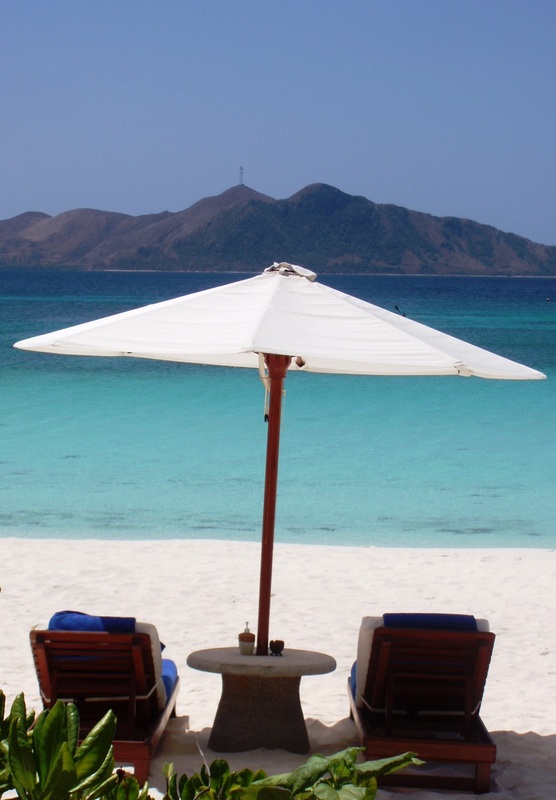 Here, on this little island paradise, is a resort quite famous around the world and simply as known as, Amanpulo. On this sunny day in July 2008, I was on a 19 seat Dornier 288 with s few tourists, loads of cargo and a few employees coming back from holiday. We were headed for Amanpulo and I was coming on the personal invite of the General Manager who was looking for an organic farmer and had surprisingly found me through a friend who worked there. This was the trip of a lifetime. Amanpulo was arguably the most expensive island resort in the Philippines and was known to attract Hollywood celebrities and even royalty. And here I was, headed for this island as a guest. I felt like I had won the lotto that day. By then, I was already living in the farm and had a fair knowledge of the basics of organic farming. Everything I knew was learned from first-hand experience in the farm. I knew nothing about farming in coastal areas, much more in a tropical island. It really did not matter now, I was on my way to Amanpulo and the mission was to explore the possibility of starting an organic farm. In a tropical island, in the middle of nowhere, in Palawan. I was both excited and nervous. Amanpulo is, simply put, pure class. You take a private plane and land in the island’s private airport. Upon arrival, you are assigned your own golf cart for use during your stay. Guests are billeted in 40 private casitas scattered around the island, some of them with their own beach front area. There are 7 other private villas with its own pool and a beach front area. They have 4 restaurants, a gym, a spa, tennis courts, a library and all the water sports equipment you could want. Even a floating bar. At sunset, guests would rent the pontoon boat that was designed to accomodate a small cocktail party. It is also a nature reserve, where you would randomly see monitor lizards crossing the road and yellow-breasted orioles outside your window. Guests could request for private barbecue dinners on the beach front with their own private cook and waiter looking after their every need. The staff were all waving at you as you passed them and greeting you at every place you went. They were also required to know each of the guest’s names. It truly felt like the friendliest place on earth. This, I was later told, was the Aman experience. largely a huge sand bank and had only some wild growing plants around the island. They had started the garden from some clay soil that had been left from the construction of the resort many years ago. It was functional, but far from the guest attraction they wanted to create. We brought African Nightcrawler Worms to the island and started a vermicomposting facililty. We shredded kitchen and garden waste to feed the worms. We gathered the waste sea weeds from the beach and used it as composting material. We rehabilitated the farm and created our own soil from compost, vermicompost and clay. A year later, we built greenhouses and started to grow salad greens. We also started making our own liquid fertilizers from kitchen waste. I wasn’t long before we started to see surprising results. In a farm without top soil not even 100 meters from the beach, we were now growing lettuce and arugula. And we were doing it by recycling kitchen and garden waste through composting and fermentation. We now had a productive organic island farm. I’ve been consulting for Amanpulo for almost three years now. 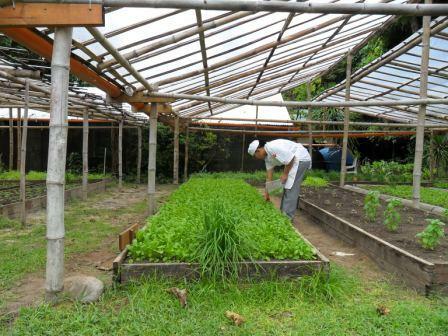 Today, our organic garden produces vegetables and herbs for its various outlets. It has now become a guest attraction as well, often featured by journalists writing about the island. 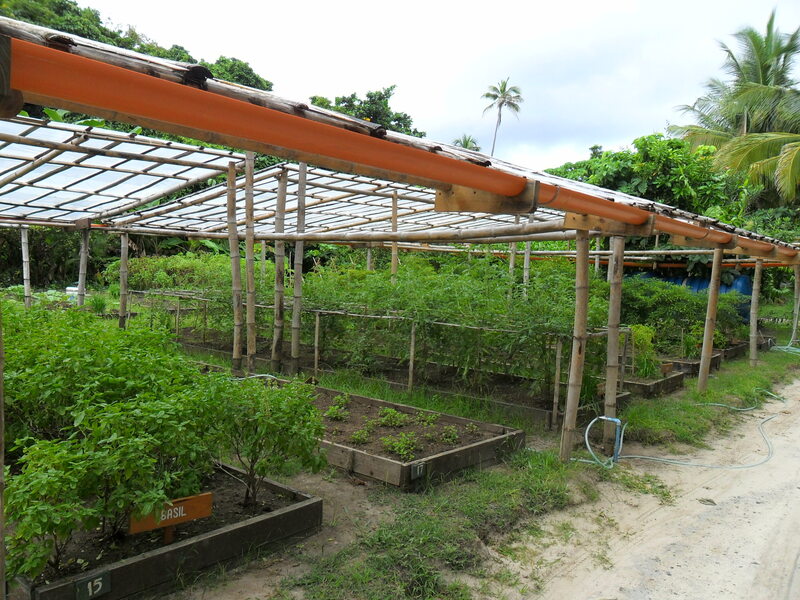 The resort now offers a tour of the organic farm as an option for children’s activities. 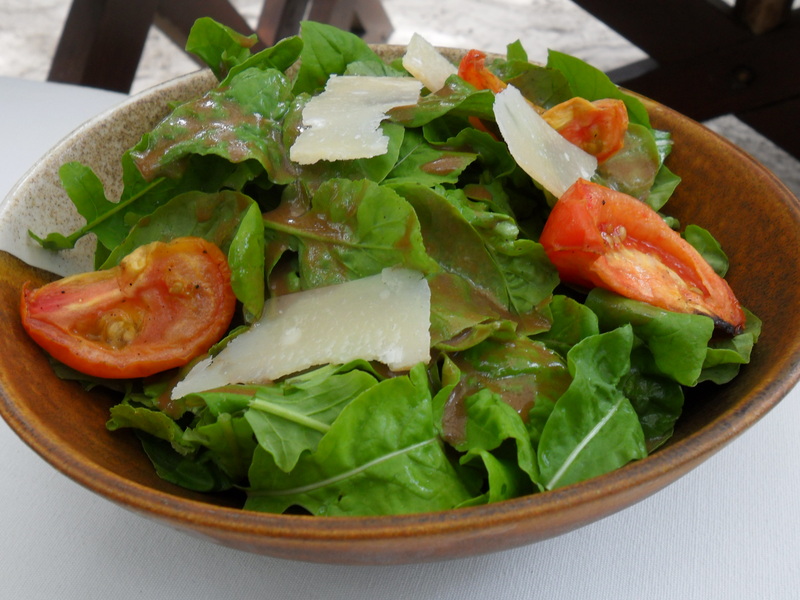 Guests are served freshly harvested salads from the garden at most of its outlets. The farm produces almost a ton of compost from its facilities each month and has become a self sustainable operation that supplies the main kitchen and its outlets with high-value vegetables, as well as the employee dining facilities. We have since expanded and still learning the intricacies of island farming as we move on. We now catch rain water and use it too maintain the garden. In 2009, we started sharing this technology to high school students in the neighboring island of Manamoc. We brought a select group to Amanpulo for a day tour which included lectures, hands-on learning experiences and a some recreation time at the employee beach. 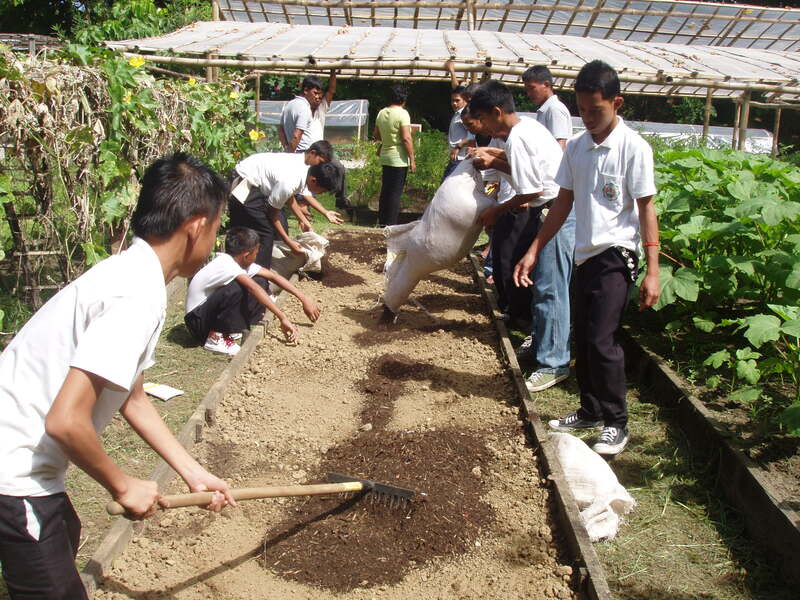 They have since started their vermicomposting area and a small organic garden in their school premises. In small and big ways, we strive to continue reducing the worldwide carbon footprint with each step we take. We are also producing healthy food products for guests and even employees. Amanpulo became the start of a new phase of my organic farming career. I have since built other farms in other places, still using the same things we did in Pamalican many years ago. 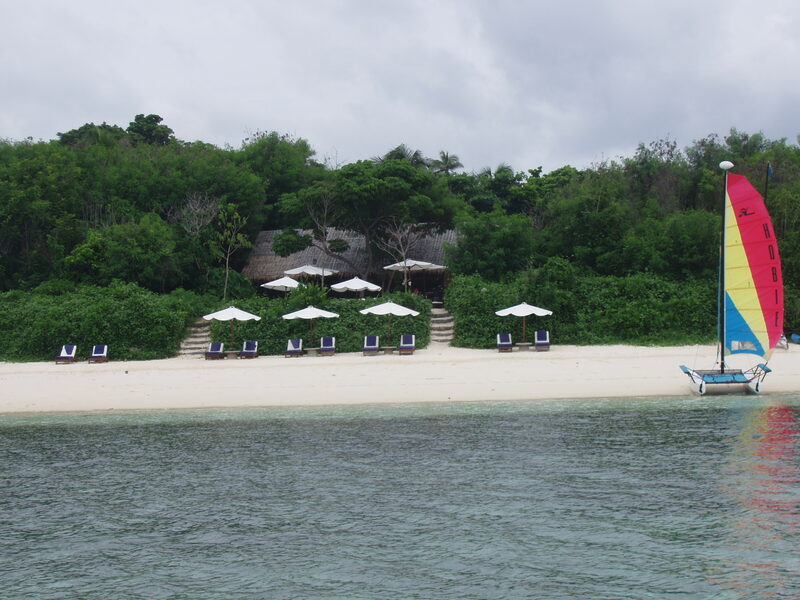 I still visit Amanpulo, it it is still a joy to come back to this first farm I had built. To see what has become of my earliest work. My earliest lessons, in the art and the science of island farming.